Bay Area Mitigation is a 24 hour emergency service provider with a focus on emergency services including; water extraction, residential or commercial drying, mold and sewage remediation, negative air pressure enclosures, trauma or biohazard cleanup. No matter what the situation is Bay Area Mitigation has the experience and tools necessary to get the job done. Bay Area Mitigation, Inc. has the experience and expertise to see you through these complications. Equipped with well-maintained vehicles, state of the art equipment and strategically located in North San Jose CA., Bay Area Mitigation is more than capable of responding anywhere within the greater Bay Area in a reasonable time frame (in most cases within 60 – 90 minutes). Bay Area Mitigation understands that when disaster strikes, the people affected by these unfortunate events can be overcome by emotional fatigue and stress and in many cases don’t know where to start the mitigation process. We listen carefully and compassionately to our clients so we have a clear understanding of our objectives based on health, safety, and the preservation of the property. We make a commitment to all our clients to maintain daily open communication on the job status including job complications and overall job progress. 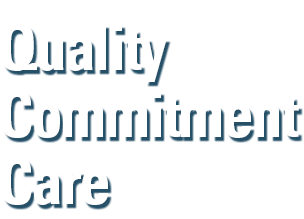 Quality, commitment and care. Guaranteed.